Similar to a hot wallet, only accessible via the internet.Web wallets store your private keys online, where they are encrypted with a user-selected password. Although they offer the lowest level of security, online bitcoin wallets have the advantage of being accessible from any internet connected device. Desktop wallets (also known as software wallets) install to your computer and allow offline management.Desktop wallets are downloaded and installed on your computer. If privacy is your main concern, the Bitcoin core wallet is a good option since it does not rely on third parties for data. Mobile wallets install to your smartphone, are often a hot wallet, and allow mobile management. Hardware wallets are portable physical devices with strong encryption. A hardware wallet is a physical electronic device, built for the sole purpose of securing crypto coins. The core innovation is that the hardware wallet must be connected to your computer, phone, or tablet before coins may be spent. A completely offline wallet that only receives cryptocurrency. You will need to store your cryptocurrency in one of these wallet types. Are some safer than others? Well, yes. ​Impenetrable Crypto Wallet : private keys never stored , anywhere , at any given time . The Private Key (PK) is safely generated by you , known only to you , and can be accessed only by you . 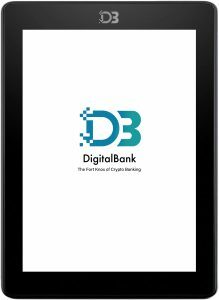 DigitalBank is the only Crypto Wallet that provides a Lifetime Access Guaranteed . The Security of your Crypto Funds is never, ever , compromised . ​If the device is seized or stolen, taken apart and forensically analyzed no data can be retrieved. ​Ultra Secured Crypto Storage and Communication solutions are at the core of all that we do at DigitalBank . 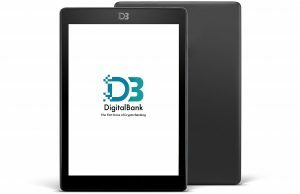 ​The DigitalBank is not a traditional crypto wallet provider , we supply sophisticated encryption devices for securing privately , your crypto funds . ​​Take Full Control of Your Personal Crypto Wealth . 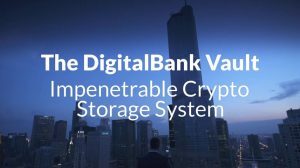 The DigitalBank Crypto Vault , allows you independent control of your crypto assets . You are the only one that control the private key to your crypto funds . ​The DigitalBank Vault Device is not an hardware wallet , it is not a cold storage wallet , it is not an online wallet . 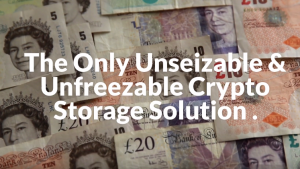 This is a new form of ultra secured crypto storage , totally controlled by the user . We do not provide any direct crypto custody services , we provide you with the most advanced technological tools for managing your own crypto funds . ​The DigitalBank Technology , is Enabling 100% secure custody of Digital Assets assets for the financial crypto industry . We Do Not have access to your Private Keys or Crypto Funds , at any given time . We are the Fort Knox of Cryptocurrency Transfers and Crypto Banking . DigitalBank Crypto Vault means a Guaranteed Lifetime Account Access. DigitalBank is the only real and fully decentralized solution : No Institution , No Physical Address , No servers , No data storage :100% Paperless . 100% Nameless . 100% Decentralized . ​With the DigitalBank Crypto Vault , there is no third party involved , because we never store or know your private key , at any given time . ​The DigitalBank Vault , is a super sophisticated personal encryption device in your own hands : no data is actually ever stored on the device and by any third parties. The concept is crystal clear : the Private Key is never stored anywhere , at any time ,the DigitalBank device generates your private key in an 100% secured way , the same second is needed for approving transactions and then is immediately whipped out from any memory . ​At any given time, there are no third parties involved , we never know your private key or store them on servers. Securing your bitcoins properly is the most important step for any Bitcoin user. With Bitcoin you have the privilege – but also the responsibility – to safeguard your own money. There have been countless scams related to Bitcoin that could have been prevented had people not entrusted others with their bitcoins. It’s a good rule of thumb to never trust anyone else with your money. Private keys emerged as a way to communicate securely through insecure communication channels. Historically, before the advent of public key cryptography, the greatest cryptographic weakness was the inability to communicate the ‘key’ that makes sense of encrypted messages. As a solution, the use of two keys (public and private) entered the picture. It’s a nifty little trick. Keys come in pairs. The public key is used to encrypt the message whereas the private key decrypts the message. The only person with the private key is you. Everyone else is free to have your public key. As a result, everyone can send you encrypted messages without having to agree on a key beforehand. They simply use your public key and you untangle the gibberish by using your private key. Why should I care about private keys? At the end of the day, all of this can go over your head without much danger. Just remember that it’s good to know what you’re dealing with. Bitcoin wallets make use of a fundamental cryptographic principle that we use for things ranging from https for websites or sending anonymous tips to Wikileaks. Most importantly, by understanding private keys you’ll have a much easier familiarizing yourself with Cold Storage wallets. A Bitcoin address is like an account number, just better. The address denotes which wallet the coins should be sent to. Like a bank account number, where the difference lies in the wallets having multiple addresses. These can be customized by including payment request information such as an amount and a date of expiration. What should I know about addresses? Bitcoin wallet addresses are case sensitive, usually have 34 characters of numbers and lowercase letters, start with either a 1 or a 3, and never use 0, O, l and I to make every character in the address as clear as possible. That’s a lot to take in. But don’t worry. What they consist of is largely irrelevant to you. Just know they’re a string of characters that denote a destination on the Bitcoin Blockchain.